Gain access to our betas! 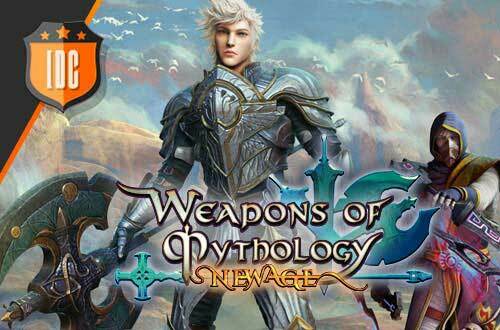 Have you already seen all our videos from Weapons of Mythology –New Age-? Have you read all the information about the game and decided what character are you going to play with? In that case you will only need to sign up and get your Early Access to our betas! The Golden Edition guarantees you the Priority Access to the Closed Betas and the Early Access to the Open Beta 3 days before the launch, certain quantity of gold, a skin, a relic and a mount. The Platinum Edition guarantees you the Priority Access to the Closed Betas and the Early Access to the Open Beta 3 days before the launch, certain quantity of gold, a skin, two relics and a mount. The Diamond Edition guarantees you the Priority Access to the Closed Betas and the Early Access to the Open Beta 3 days before the launch, certain quantity of gold, a skin, two relics, a mount, a pet, consumable items for your pet and a physical item related to the game that you will receive after the game's launch. To learn more details about our offer, please visit this page and choose the edition you like the best!